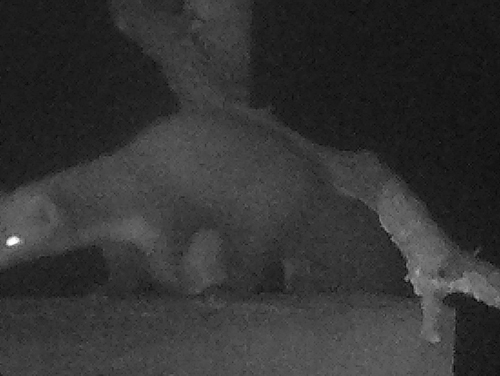 We have a pair of Common Barn Owls nesting in our Barn Owl Nest Box! 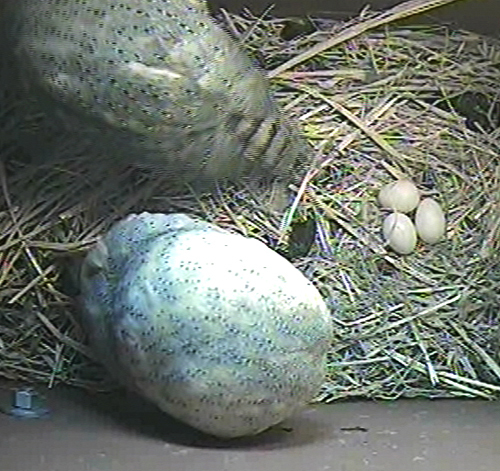 They have already laid three eggs. clutches can vary from 2 to 16 eggs. See the Barn Owl Nest Cam page for updates. 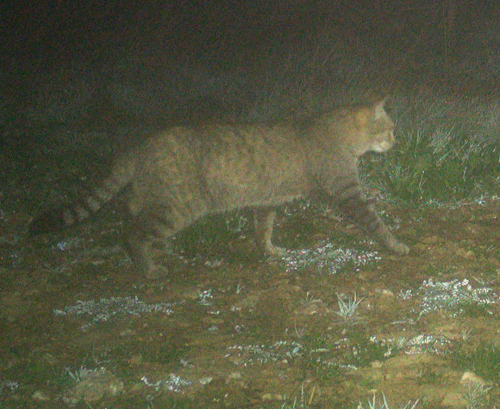 New Mammal Species: European Wildcat ! White Stork with a Coloured leg-ring foraging at our Spring on 6th January 2018. This bird is 21 years old ! It was ringed in Portugal a distance of 12km away, on 26th May 1997. 20 Years, 7 Months and 11 Days before it was spotted at our reserve. Our first Endangered Species recorded on the reserve. 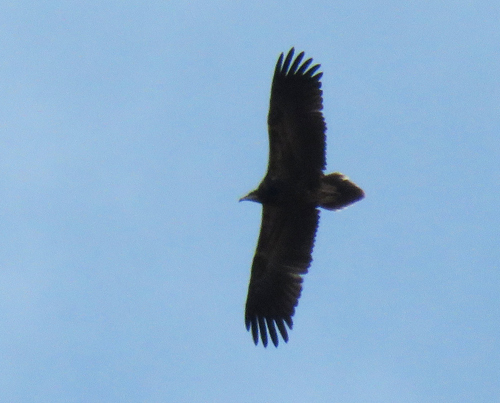 A juvenile Egyptian Vulture ! As opportunities arise a variety of bird songs and calls will be posted to the website, especially for species that have not yet been photographed. All such recording will be made on site on the nature reserve. Other animals, such as frogs, may also be recorded over time and sound files loaded. The first sound file to be loaded is the song of the Common Quail on the Bird Field Guide page. Google Translate now available on this website! Read this website in any of 90 or more languages. Traduz Google agora disponível neste site! Leia o site em qualquer uma das 90 ou mais línguas. 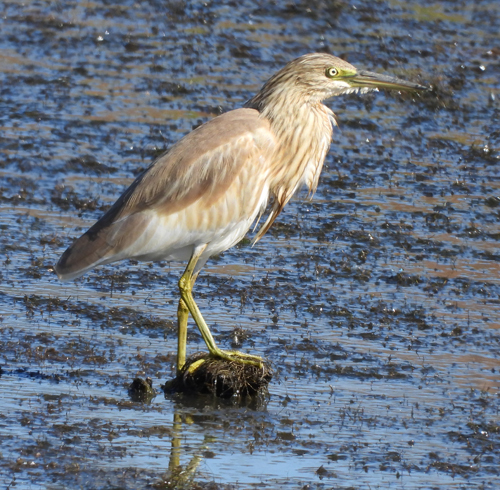 Andalucia Bird Society: A great resource for exchanging and or getting information on many aspects of birding in southern Spain.